We are the only national nonprofit committed to supporting the whole family as they address every aspect of substance use and addiction, from prevention to recovery. Learn more about our history and impact, and meet the dedication and passionate people who make it all possible. Our mission is to transform how the nation addresses addiction. Learn more about how we're accomplishing this aim. Without the generosity of our corporate and foundation partners, we could not accomplish our goals or provide families with needed support. 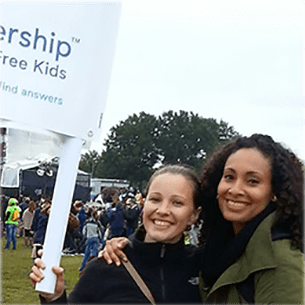 Work at the Partnership for Drug-Free Kids. Learn more about the dedicated and passionate people behind our work. The latest news and updates about the Partnership. Review highlights from this past year and access our financial reporting. Learn more about the Partnership for Drug-Free Kids’ history, our positions on issues related to drug use, our services and more. How to best get in touch depending on your needs.